The chessboard is composed of an 8 x 8 grid of 64 equal squares alternately light (the ‘white’ squares) and dark (the ‘black’ squares). At the beginning of the game White has 16 light-coloured pieces (the ‘white’ pieces); Black has 16 dark-coloured pieces (the ‘black’ pieces). Only the player having the move may adjust one or more pieces on their squares, provided that he first expresses his intention (for example by saying “j’adoube” or “I adjust”). 4.3.3 one or more pieces of each colour, he must capture the first touched opponent’s piece with his first touched piece or, if this is illegal, move or capture the first piece touched that can be moved or captured. If it is unclear whether the player’s own piece or his opponent’s was touched first, the player’s own piece shall be considered to have been touched before his opponent’s. 4.4.3 intending to castle, touches the king and then a rook, but castling with this rook is illegal, the player must make another legal move with his king (which may include castling with the other rook). 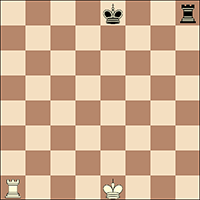 If the king has no legal move, the player is free to make any legal move. 4.4.4 promotes a pawn, the choice of the piece is finalised when the piece has touched the square of promotion. 4.6.2 removing the pawn and putting the new piece on the square of promotion may occur in any order. 4.6.3 If an opponent’s piece stands on the square of promotion, it must be captured. 4.7.2 castling, when the player's hand has released the rook on the square previously crossed by the king. When the player has released the king from his hand, the move is not yet made, but the player no longer has the right to make any move other than castling on that side, if this is legal. If castling on this side is illegal, the player must make another legal move with his king (which may include castling with the other rook). 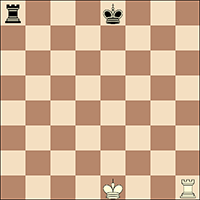 If the king has no legal move, the player is free to make any legal move. 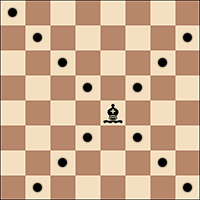 4.7.3 promotion, when the player's hand has released the new piece on the square of promotion and the pawn has been removed from the board. A player forfeits his right to claim against his opponent’s violation of Articles 4.1 – 4.7 once the player touches a piece with the intention of moving or capturing it. The game is won by the player who has checkmated his opponent’s king. This immediately ends the game, provided that the move producing the checkmate position was in accordance with Article 3 and Articles 4.2 – 4.7. 5.1.2 The game is won by the player whose opponent declares he resigns. This immediately ends the game. 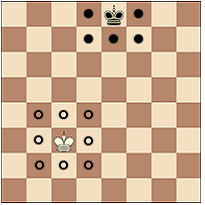 5.2.1 The game is drawn when the player to move has no legal move and his king is not in check. The game is said to end in ‘stalemate’. 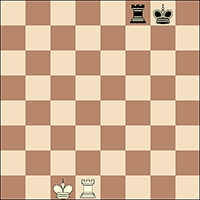 This immediately ends the game, provided that the move producing the stalemate position was in accordance with Article 3 and Articles 4.2 – 4.7. 5.2.2 The game is drawn when a position has arisen in which neither player can checkmate the opponent’s king with any series of legal moves. The game is said to end in a ‘dead position’. 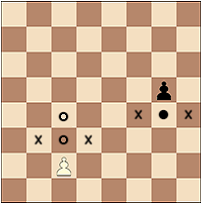 This immediately ends the game, provided that the move producing the position was in accordance with Article 3 and Articles 4.2 – 4.7. 5.2.3 The game is drawn upon agreement between the two players during the game , provided both players have made at least one move. This immediately ends the game. The English text is the authentic version of the Laws of Chess (which were adopted at the 87th FIDE Congress at Baku, Azerbaijan and 2017 FIDE Presidential Board in Athens) coming into force on 1 July 2017. In these Laws the words ‘he’, ‘him’, and ‘his’ shall be considered toinclude ‘she’ and ‘her’. The game of chess is played between two opponents who move their pieces on a square board called a ‘chessboard’. 1.2 The player with the light-coloured pieces (White) makes the first move, then the players move alternately, with the player with the dark-coloured pieces (Black) making the next move. 1.3 A player is said to ‘have the move’ when his opponent’s move has been ‘made’. The objective of each player is to place the opponent’s king ‘under attack’ in such a way that the opponent has no legal move. 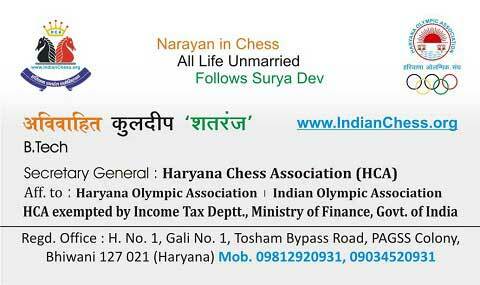 1.4.1 The player who achieves this goal is said to have ‘checkmated’ the opponent’s king and to have won the game. Leaving one’s own king under attack, exposing one’s own king to attack and also ’capturing’ the opponent’s king is not allowed . If the position is such that neither player can possibly checkmate the opponent’s king, the game is drawn (see Article 5.2.2). A piece is said to attack an opponent’s piece if the piece could make a capture on that square according to Articles 3.2 to 3.8. 3.1.3 A piece is considered to attack a square even if this piece is constrained from moving to that square because it would then leave or place the king of its own colour under attack. 3.7.3 the pawn may move to a square occupied by an opponent’s piece diagonally in front of it on an adjacent file, capturing that piece. 3.7.4.1 A pawn occupying a square on the same rank as and on an adjacent file to an opponent’s pawn which has just advanced two squares in one move from its original square may capture this opponent’s pawn as though the latter had been moved only one square. 3.7.4.2 This capture is only legal on the move following this advance and is called an ‘en passant’ capture. 3.7.5.1 When a player, having the move, plays a pawn to the rank furthest from its starting position, he must exchange that pawn as part of the same move for a new queen, rook, bishop or knight of the same colour on the intended square of arrival. This is called the square of ‘promotion’. 3.7.5.2 The player's choice is not restricted to pieces that have been captured previously. 3.7.5.3 This exchange of a pawn for another piece is called promotion, and the effect of the new piece is immediate. by ‘castling’. This is a move of the king and either rook of the same colour along the player’s first rank, counting as a single move of the king and executed as follows: the king is transferred from its original square two squares towards the rook on its original square, then that rook is transferred to the square the king has just crossed. 3.8.2.1.2 with a rook that has already moved. 3.8.2.2.2 if there is any piece between the king and the rook with which castling is to be effected. 3.10.1 A move is legal when all the relevant requirements of Articles 3.1 – 3.9 have been fulfilled. 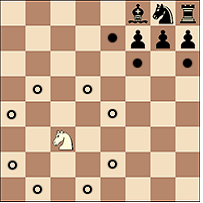 3.10.3 A position is illegal when it cannot have been reached by any series of legal moves. ‘Chessclock’ means a clock with two time displays, connected to each other in such a way that only one of them can run at one time. ‘Clock’ in the Laws of Chess means one of the two time displays. ‘Flag-fall’ means the expiration of the allotted time for a player. 6.2.2 A player must be allowed to stop his clock after making his move, even after the opponent has made his next move. The time between making the move on the chessboard and pressing the clock is regarded as part of the time allotted to the player. 6.2.5 Only the player whose clock is running is allowed to adjust the pieces. 6.2.6 If a player is unable to use the clock, an assistant, who must be acceptable to the arbiter, may be provided by the player to perform this operation. His clock shall be adjusted by the arbiter in an equitable way. This adjustment of the clock shall not apply to the clock of a player with a disability. 6.3.2 The time saved by a player during one period is added to his time available for the next period, where applicable. In the time-delay mode both players receive an allotted ‘main thinking time’. Each player also receives a ‘fixed extra time’ with every move. The countdown of the main thinking time only commences after the fixed extra time has expired. Provided the player presses his clock before the expiration of the fixed extra time, the main thinking time does not change, irrespective of the proportion of the fixed extra time used. At the time determined for the start of the game White’s clock is started. 6.7.1 The regulations of an event shall specify a default time in advance. If the default time is not specified, then it is zero. Any player who arrives at the chessboard after the default time shall lose the game unless the arbiter decides otherwise. 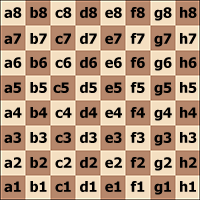 Except where one of Articles 5.1.1, 5.1.2, 5.2.1, 5.2.2, 5.2.3 applies, if a player does not complete the prescribed number of moves in the allotted time, the game is lost by thatplayer. However, the game is drawn if the position is such that the opponent cannot checkmate the player’s king by any possible series of legal moves. 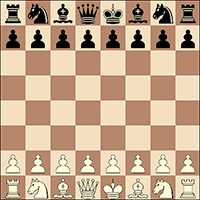 6.10.2 If during a game it is found that the setting of either or both clocks is incorrect, either player or the arbiter shall stop the chessclock immediately. The arbiter shall install the correct setting and adjust the times and move-counter, if necessary. He shall use his best judgement when determining the clock settings. A player may stop the chessclock only in order to seek the arbiter’s assistance, for example when promotion has taken place and the piece required is not available. If a player stops the chessclock in order to seek the arbiter’s assistance, the arbiter shall determine whether the player had any valid reason for doing so. If the player had no valid reason for stopping the chessclock, the player shall be penalised in accordance with Article 12.9. If an irregularity occurs and the pieces have to be restored to a previous position, the arbiter shall use his best judgement to determine the times to be shown on the chessclock. This includes the right not to change the clock times. He shall also, if necessary, adjust the clock’s move-counter. 7.2.2 If during a game it is found that the chessboard has been placed contrary to Article 2.1, the game shall continue but the position reached must be transferred to a correctly placed chessboard. If necessary, either the player or his opponent shall stop the chessclock and ask for the arbiter’s assistance. 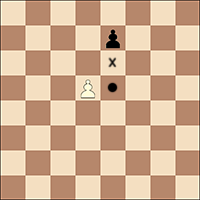 7.5.2 If the player has moved a pawn to the furthest distant rank, pressed the clock, but not replaced the pawn with a new piece, the move is illegal. The pawn shall be replaced by a queen of the same colour as the pawn. After the action taken under Article 7.5. 1 or 7.5.2, for the first completed illegal move by a player, the arbiter shall give two minutes extra time to his opponent; for the second completed illegal move by the same player the arbiter shall declare the game lost by this player. However, the game is drawn if the position is such that the opponent cannot checkmate the player’s king by any possible series of legal moves. If a player uses two hands to make a single move (in case of castling, capturing or promotion), it shall be considered as an illegal move. For the first violation of the rule 7.7.1, the arbiter shall give two minutes extra time to his opponent; for the second violation of the rule 7.7.1 by the same player the arbiter shall declare the game lost by this player. However, the game is drawn if the position is such that the opponent cannot checkmate the player’s king by any possible series of legal moves. 7.8.1. If the player presses the clock without making a move, it shall be considered as an illegal move. 7.8.2 For the first violation of the rule 7.8.1, the arbiter shall give two minutes extra time to his opponent; for the second violation of the rule 7.8.1 by the same player the arbiter shall declare the game lost by this player. However, the game is drawn if the position is such that the opponent cannot checkmate the player’s king by any possible series of legal moves. In the course of play each player is required to record his own moves and those of his opponent in the correct manner, move after move, as clearly and legibly as possible, in the algebraic notation (Appendix C), on the ‘scoresheet’ prescribed for the competition. If neither player keeps score under Article 8.4, the arbiter or an assistant should try to be present and keep score. In this case, immediately after a flag has fallen the arbiter shall stop the chessclock. Then both players shall update their scoresheets, using the arbiter’s or the opponent’s scoresheet. 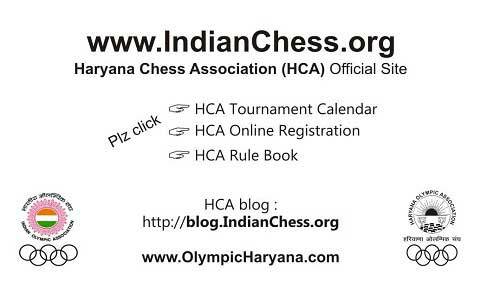 8.5.2 If only one player has not kept score under Article 8.4, he must, as soon as either flag has fallen, update his scoresheet completely before moving a piece on the chessboard. Provided it is that player’s move, he may use his opponent’s scoresheet, but must return it before making a move. 8.5.3 If no complete scoresheet is available, the players must reconstruct the game on a second chessboard under the control of the arbiter or an assistant. He shall first record the actual game position, clock times, whose clock was running and the number of moves made/completed, if this information is available, before reconstruction takes place. 9.1.2.1 A player wishing to offer a draw shall do so after having made a move on the chessboard and before pressing his clock. An offer at any other time during play is still valid but Article 11.5 must be considered. No conditions can be attached to the offer. In both cases the offer cannot be withdrawn and remains valid until the opponent accepts it, rejects it orally, rejects it by touching a piece with the intention of moving or capturing it, or the game is concluded in some other way. 9.1.2.2 The offer of a draw shall be noted by each player on his scoresheet with the symbol (=). 9.1.2.3 A claim of a draw under Article 9.2 or 9.3 shall be considered to be an offer of a draw. 9.2.1.2 has just appeared, and the player claiming the draw has the move. 9.2.2.2 a king had castling rights with a rook that has not been moved, but forfeited these after moving. The castling rights are lost only after the king or rook is moved. If the claim is found to be incorrect, the arbiter shall add two minutes to the opponent’s remaining thinking time. Then the game shall continue. If the claim was based on an intended move, this move must be made in accordance with Articles 3 and 4. The ‘playing venue’ is defined as the ‘playing area’, rest rooms, toilets, refreshment area, area set aside for smoking and other places as designated by the arbiter. However, the regulations of an event may allow such devices to be stored in a player’s bag, provided the device is completely switched off. This bag must be placed as agreed with the arbiter. Both players are forbidden to use this bag without permission of the arbiter. Infraction of any part of Articles 11.1 – 11.5 shall lead to penalties in accordance with Article 12.9. A ‘Rapid chess’ game is one where either all the moves must be completed in a fixed time of more than 10 minutes but less than 60 minutes for each player; or the time allotted plus 60 times any increment is of more than 10 minutes but less than 60 minutes for each player. If the arbiter observes an illegal move has been completed, he shall declare the game lost by the player, provided the opponent has not made his next move. If the arbiter does not intervene, the opponent is entitled to claim a win, provided the opponent has not made his next move. However, the game is drawn if the position is such that the opponent cannot checkmate the player’s king by any possible series of legal moves. If the opponent does not claim and the arbiter does not intervene, the illegal move shall stand and the game shall continue. Once the opponent has made his next move, an illegal move cannot be corrected unless this is agreed by the players without intervention of the arbiter. To claim a win on time, the claimant may stop the chessclock and notify the arbiter. For the claim to be successful, the claimant must have time remaining on his own clock after the chessclock has been stopped. However, the game is drawn if the position is such that the claimant cannot checkmate the player’s king by any possible series of legal moves. The arbiter can also call a flag fall, if he observes it. A ‘blitz’ game is one where all the moves must be completed in a fixed time of 10 minutes or less for each player; or the allotted time plus 60 times any increment is 10 minutes or less. When a pawn makes a capture, the file of departure must be indicated, then an x may be inserted, then the square of arrival. Examples: dxe5, gxf3, axb5. In the case of an ‘en passant’ capture, ‘e.p.’ may be appended to the notation. Example: exd6 e.p. e.p. = captures ‘en passant’ The last four are optional. On the visually disabled player's board a piece shall be considered ‘touched’ when it has been taken out of the securing aperture. If a game is not finished at the end of the time prescribed for play, the arbiter shall require the player having the move to ‘seal’ that move. The player must write his move in unambiguous notation on his scoresheet, put his scoresheet and that of his opponent in an envelope, seal the envelope and only then stop the chessclock. Until he has stopped the chessclock the player retains the right to change his sealed move. 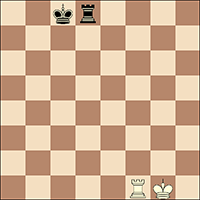 If, after being told by the arbiter to seal his move, the player makes a move on the chessboard he must write that same move on his scoresheet as his sealed move. the player who sealed the move is not present, his opponent has the right to record his reply on the scoresheet, seal his scoresheet in a fresh envelope, stop his clock and start the absent player’s clock instead of making his reply in the normal manner; if so, the envelope shall be handed to the arbiter for safekeeping and opened on the absent player’s arrival. I.10 Any player who arrives at the chessboard after the default time shall lose the game unless the arbiter decides otherwise. However, if the sealed move resulted in the conclusion of the game, that conclusion shall still apply. The duration of each resumption session shall be controlled by the arbiter’s timepiece. The starting time shall be announced in advance. A ‘quickplay finish’ is the phase of a game when all the remaining moves must be completed in a finite time. III.4 If the player having the move has less than two minutes left on his clock, he may request that an increment extra five seconds be introduced for both players. This constitutes the offer of a draw. If the offer refused, and the arbiter agrees to the request, the clocks shall then be set with the extra time; the opponent shall be awarded two extra minutes and the game shall continue. arbiter’s discretion: There are approximately 39 instances in the Laws where the arbiter must use his judgement. attack: 3.1.A piece is said to attack an opponent’s piece if the player’s piece can make a capture on that square. blitz: B. A game where each player’s thinking time is 10 minutes or less. capture: 3.1. Where a piece is moved from its square to a square occupied by an opponent’s piece, the latter is removed from the board. See also 3.7.4.1 i 3.4.7.2.In notation x.
check: 3.9. Where a king is attacked by one or more of the opponent’s pieces. In notation +. 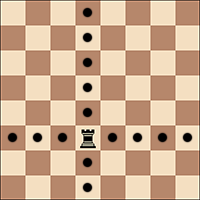 dead position: 5.2.2 Where neither player can mate the opponent’s king with any series of legal moves. delay (Bronstein) mode: 6.3.2Both players receive an allotted ‘main thinking time’. Each player also receives a ‘fixed extra time’ with every move. The countdown of the main thinking time only commences after the fixed extra time has expired. Provided the player presses his clock before the expiration of the fixed extra time, the main thinking time does not change, irrespective of the proportion of the fixed extra time used. j’adoube: 4.2. Giving notice that the player wishes to adjust a piece, but does not necessarily intend to move it. made: 1.1. A move is said to have been ‘made’ when the piece has been moved to its new square, the hand has quit the piece, and the captured piece, if any, has been removed from the board. move: 1.1. 1. 40 moves in 90 minutes, refers to 40 moves by each player. Or 2. having the move refers to the player’s right to play next. Or 3. White’s best move refers to the single move by White. press the clock: 6.2.1 The act of pushing the button or lever on a chess clock which stops the player’s clock and starts that of his opponent. rapid chess: A. A game where each player’s thinking time is more than 10 minutes, but less than 60.
standard chess: G3. A game where each player’s thinking time is at least 60 minutes. time control: 1. The regulation about the time the player is allotted. For example, 40 moves in 90 minutes, all the moves in 30 minutes, plus 30 seconds cumulatively from move 1. Or2. A player is said ‘to have reached the time control’, if, for example he has completed the 40 moves in less than 90 minutes. vertical: 2.4. The 8th rank is often thought as the highest area on a chessboard. Thus each file is referred to as ‘vertical’.